There are several classic Country songs from the 1970's. 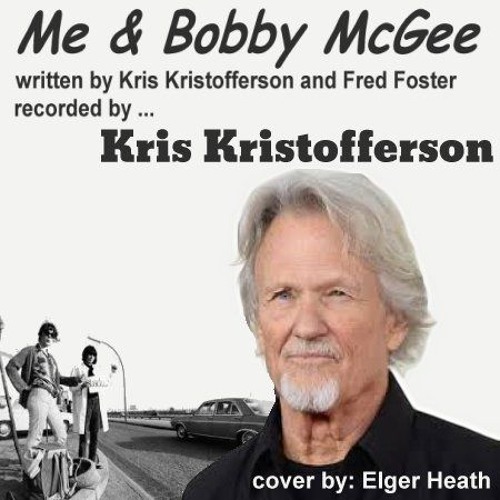 Right up there with Take Me Home Country Road is a number written by Kris Kristofferson and ‎Fred Foster called 'Me & Bobby McGee'. I can think of few tunes that folks from my generation would find more recognizable as this one. Its a true piece of 1970s Country Gold. It's been recorded by more artists than I could count on the fingers of both my hands. In a way, I can see why original artists hate cover artists. I suppose that would include me although I don't do this for a living. This song has been done in more ways and styles than you could shake a stick at. Still, try as I might, I just can't find a recording artist that did this song as I remember it. The closest I can see has to be Kris's version but even that one... The only thing about this tune that I hate is when they start breaking into nonsense lyrics like “Na na na... Na na na na... Na na na... Na na”. Seriously? How does that help the song? What's more, it appears completely unnecessary. It's like they forgot the words and couldn't ad-lib a verse. The story is complete so an extra verse wasn't necessary. Why create this clumsy musical filler? In my cover I simply repeated the verse and omitted the vocal filler. I think it comes off better this way but that's my opinion. Maybe you'd disagree. Anyway here is my cover. Good or bad version, this is an excellent song to learn and add to your repertoire, if you haven't already.